The in dash DVD Player is special for Ford Ranger 2016 , please double check the dimension and shape before placing an order. Android 8.1 OS, CPU: Rockchip PX3 Cortex A53 Octa Core 1.6GHz, Nand Memory: 32GB, RAM: DDR3 2GB, Audio output: 4*50W max. More faster and smoother of processing speed to access to any applicaions. Google maps, Waze and other Android maps apps are allowed for navigating. Voice guidance, radio/disc/Bluetooth/iPod/USB/SD playback are available while navigating. FM/AM tunner media receiver. 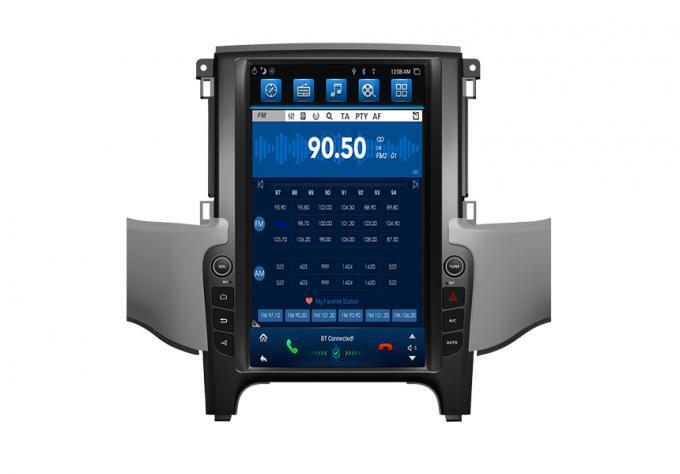 Ford Ranger 2016 in dash DVD Player support Mirror Link for iphone Airplay and android phone easy-connect; 30 stations of analog AM/FM RDS radio; Android Car radiobuilt-in WiFi, 3G and WiFi hotspot to surf the internet; Built-in bluetooth for hand free phone call and media music streaming. Car Radio Stereo support USB/SD up to 32GB, support GPS voice guidance & 3G map; Support Dual Zone function for DVDs or TV watching through the AV output on the headrest while navigating. Support Steeing Wheel Control.